However --- I do not see a full list of databases and/or schemas (in my case, I have 3 databases, each with multiple schemas). PostgreSQL does not allow to use and switch between multiple databases. But you should see schemata in the left tree. Thankyou for your reply, ansgar. I tried to select a database on the initial selection screen, but received an access violation (0366958F, LIBEAY32.dll, address 03010000) - win32. On Win7, a dropdown list is shown, but does not include any of the databases defined (as, e.g., in pgAdmin). I would love to drop pgAdmin in favour of Heidi! (I use both MariaDB and POstgreSQL). You need to install HeidiSQL with dlls you don't have yet. Please use the latest installer from the nightly builds section. Then, in the session screen, ensure you have one database you want to work with in the "Database(s)" box. Have done this ansgar (re-installed build 8.3.0.4799) and I get the connection requested but no objects. Any idea whats wrong please? You probably have the wrong database in the "Databases" box? 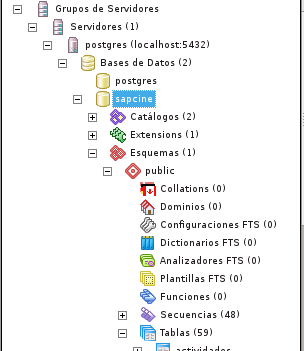 There are two databases shown using pgadmin, postgres and postgis_21_sample. These are the only ones that will connect. Heide shows nothing under either? I can't get it work. My english is poor and i will try to explain my connection problem. No, HeidiSQL does not need JDBC drivers, as HeidiSQL is not a Java application. If you don't get error messages when connecting to a PostgreSQL server, you don't have a driver problem. The fact that your table list is empty probably means that HeidiSQL fires a wrong query to get them. 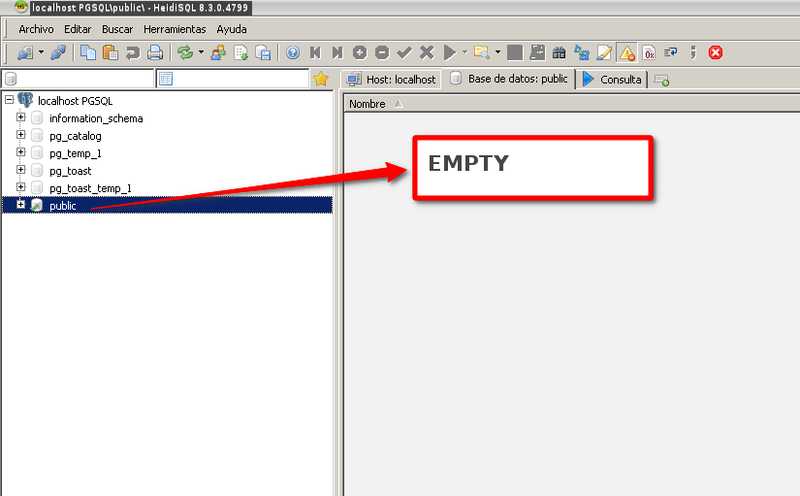 Please post the last 10 lines of your SQL log when you click your empty database. Created a postres database containing a table using Heidi. It allowed me to connect to the new database but no objects just 0B. Then connected using pgAdmin III. The database and table created using Heidi were there as expected. Now, with r4800, in PostgreSQL, the "Databases" box in the session manager is now only used to set the single wanted database name. This was previously also used to set the database nodes in the left database tree. The tree now always displays all schemata in PostgreSQL. Build 4800 now appears to be working as expected. Main problem I was having was because some of the database object names were in uppercase. PGAdminIII does not seem to mind this but Heidi (correctly) throws errors. Thanks to ansgar for a great piece of work much more friendly than PGAdmin. Will still have to use PGAdmin as I need to use the shapefile loader plugin. Unless its possible to use the plugin in Heidi of course? r4802 now uses the two pipes syntax instead of the CONCAT function call. Also works on PostgreSQL 9.3.4, and I guess CONCAT() does not work in most older versions. @roger_ackroyd: I have no clue what that shapeloader plugin does or how it works. HeidiSQL supports some MySQL plugins using the "plugins" folder, but this is of course something completely different than what you mean. you could use the separate pgshapeloader program. Could you please provide me that table definition here, so I can test that? I cannot for some reason reproduce that LEFT() function call here on a table with a text column in it. Ok thanks. And LEFT() does not work for you? On my 9.3.4 server it works. I guess they introduced this and some more functions like CONCAT recently. And I guess SUBSTR() always works. SELECT "uin" , LEFT("pass",256) pass, "ulock"
hmm column "pass" and "llog" type text, what could be wrong? Did you update HeidiSQL to build 4804 to get the SUBSTR() solution? llog is of type TEXT, so that SUBSTR() works here. Apart from LEFT() on PostgreSQL 9.3.4. Ah, understand... so LEFT() works in general for you, on TEXT columns? I will add that "double precision" data type in HeidiSQL's column type detection, as that seems to be missing yet. yes LEFT() it works on TEXT columns. r4805 adds support for data types with spaces, like "double precision". So, your double precision columns should not get misdetected as text any longer, and the data grid should no longer fire some SUBSTR() on double precision columns. I have installed the last r4805 release, using PostgreSQL 9.3.5 on a Windows 7 64 bit computer. "ERROR: function substr(bit, integer, integer) does not exist..."
This is because a column that has the BIT data type is probably detected as a text column. Could you add this data type to the list of non-text types ? Yes, will look into that. BIT and BIT VARYING support added in r4807. Last problem : the same error message appears with GEOMETRY columns. "ERROR: function substr(geometry, integer, integer) does not exist..."
Heidi appears to interpret geometry columns as arbitrary TEXT type when in fact these are complex spatial types line,point, polygon etc. substr() function fails because geometry fields are not strings. If you strip the substr() off it works and shows a meaningless string of integers of indeterminate length. We are in danger of trying to run before we can walk. i.e. priority must be to get Postgres working correctly before we tackle the PostGIS extension issues. Postgres support remains, after all 'experimental'. @ansgar is, I know trying to deal with a number of issues regarding the subtle differences between MySQL and Postgres but given time and patience, I am sure the reward will be worth the effort. Then we can put pgadminIII away forever. We must continue to support his laudable work and significant progress has been made so far. There are also issues with creating indexes but that is another thread. "HINT: Could not choose a best candidate function. You might need to add explicit type casts." r4809 adds support for geometry data types listed in the PostgreSQL documentation. Yes, can confirm that. I would like to add support for that boolean type, and provide a dropdown menu in the grid so the user can select a "true"/"false" value by click. "function substr(public.geometry, integer, integer) is not unique. HINT : Could not choose a best candidate function. You might need to add explicit type casts." That query returns 44 columnsI so I have restricted the columns to the ones I think you may need? Ok, the first is integer, second one is character varying. So far no problem in HeidiSQL I think. But the third column has data type "USER-DEFINED"... How should HeidiSQL treat such data types, if not as text? Support for PostgreSQL's "boolean" data type added in r4812. Which means as much as "Type "geometry" does not exist". r4813 now supports adding columns in the table editor, where I fired the MySQL-specific AFTER/FIRST clause all the time. I created a simple table and then ran a query similar to yours and it works? r4814 introduces a UNKNOWN data type for such purposes, so we don't run into that SUBSTR problem on non-text columns any more. That now works ansgar, thanks. r4826 SUBSTR problem with INET fields. When you installed PostgreSQL database server, the PostgreSQL installer also installed some useful tools for working with the database server. 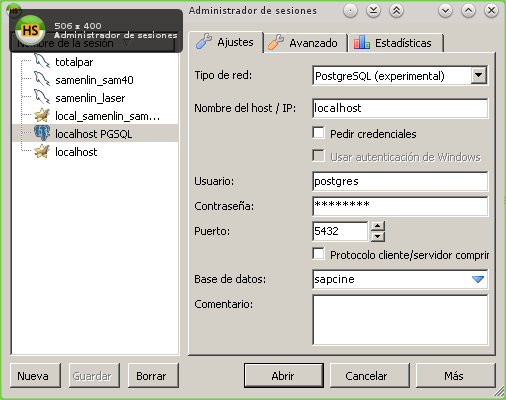 You can connect to the PostgreSQL database server by using the psql or pgAdmin tool. Connect to PostgreSQL database using psql psql is an interactive terminal program provided by PostgreSQL. 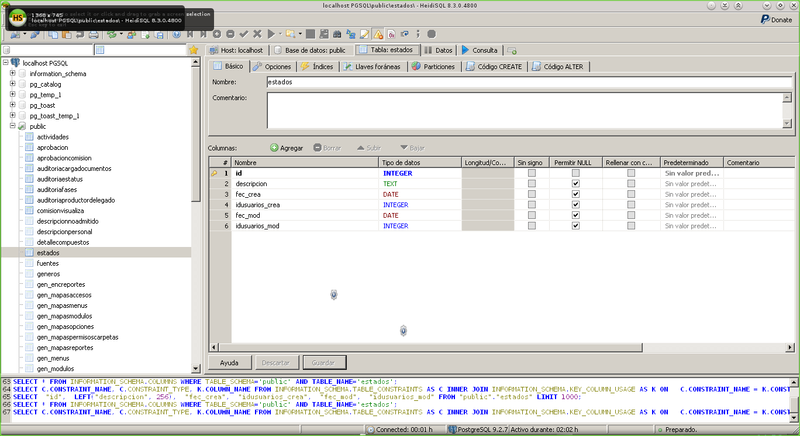 You can do a lot with psql tool e.g., execute SQL statements, manage database objects, etc. Second, enter all the required information such as the server, database, port, username, and password. If you press enter, psql will use default values inside the square brackets. Please do not forget to put the semicolon (;) at the end of the statement. After pressing enter, psql will give you the current PostgreSQL version that you have in the system. 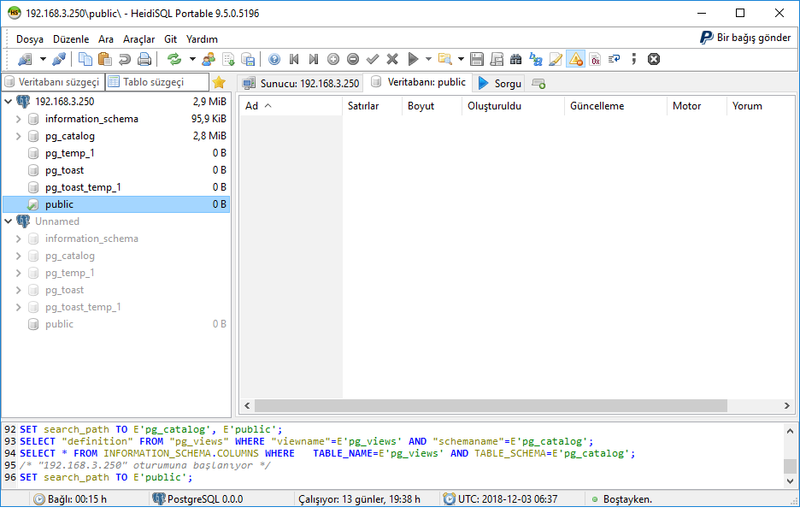 Connect to PostgreSQL database using pgAdmin GUI application The second way to connect to a database is using pgAdmin GUI application. 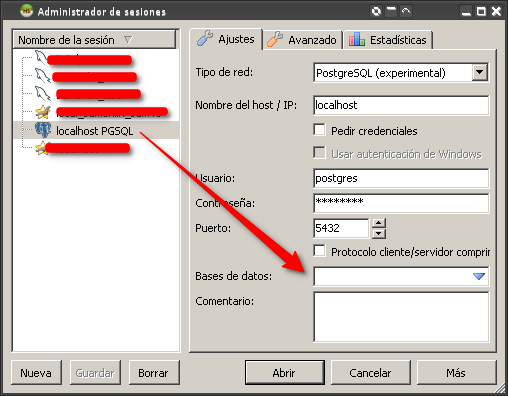 By using pgAdmin GUI application, you can interact with PostgreSQL database server via an intuitive user interface. First, launch the pgAdmin application. Second, double-click the PostgreSQL 9.2 under the Servers item. pgAdmin will ask you for the password. You have to provide the password for the postgres user. 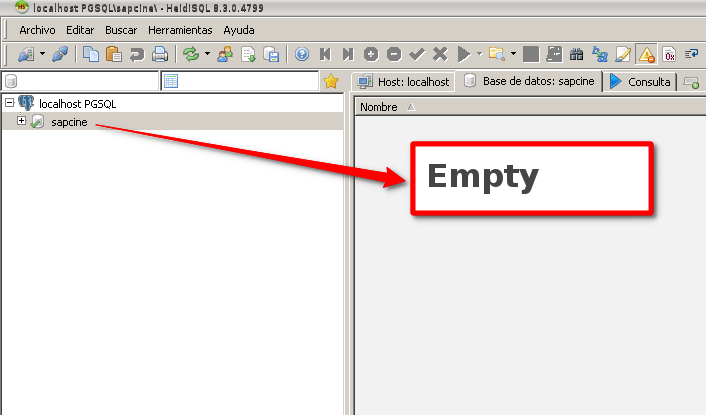 Once finish, click OK button to log in to the PostgreSQL server. 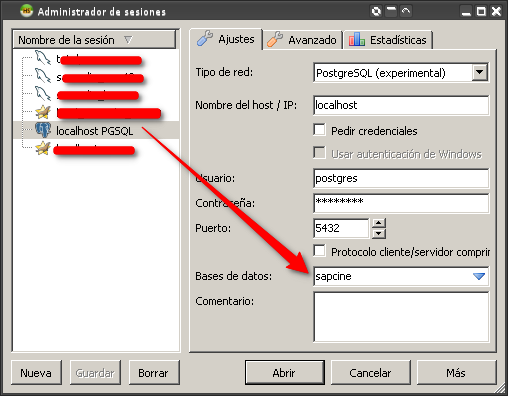 Third, choose the postgres database and click Execute Arbitrary SQL queries tool from the pgAdmin’s toolbar. Fifth, click the execute query button in the toolbar, pgAdmin will display the result in the output panel. Connect to PostgreSQL database from other applications Any application that supports ODBC or JDBC can connect to PostgreSQL database server. In addition, if you develop an application that uses an appropriate driver, the application can connect to the PostgreSQL database server as well. In this tutorial, you’ve learned how to connect to PostgreSQL database server by using different client tools including psql and pgAdmin GUI application. Let’s explore the PostgreSQL database objects and find out how can we use them in our applications. I am actively using "SQL Manager" for PostgreSQL. I thank HeidiSQL developer friends and wish them continued success.